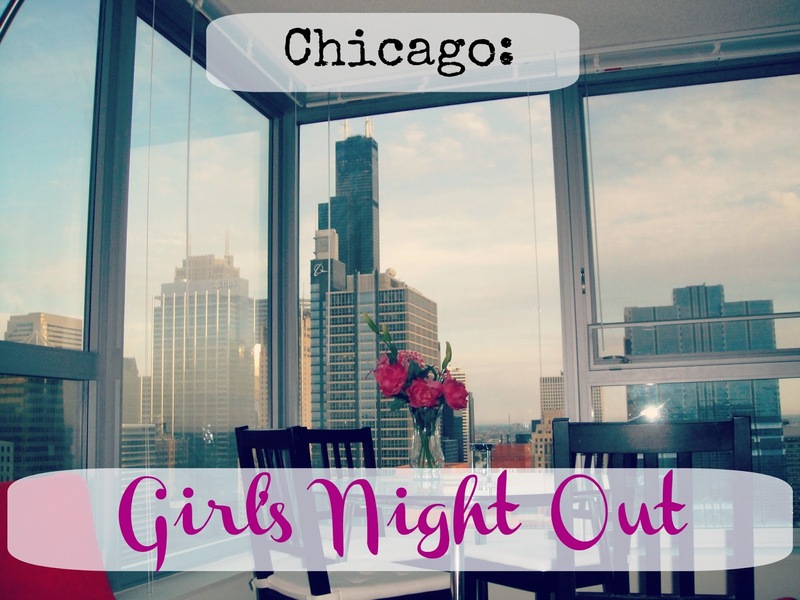 of course after i talked about date night in chicago, i had to follow it up with my favorite activity - girl's night out. fancy fun. i'm a dive bar girl at heart, i really am. but there is the occasional blue moon when i want to wear a dress and high heels and sip fancy martinis whose ingredients i'm not entirely sure on. for those types of nights, i recommend you don your fancy clothes and try pops for champagne for the fanciest cheese curds you've ever seen (oh and other things ya know like champagne!) or bin 36 for wine tasting. piano bars. karaoke will never stop being fun for me, but sometimes i'm content just watching the show. the dueling pianos at howl at the moon never disappoint. the shows are always hilarious and full of songs you know. and most importantly, they serve drinks in giant buckets with huge straws. you can't argue with giant buckets full of cocktail. and if you still want to karaoke yourself, it's right down the street from blue frog 22 where you can sing your heart out. martinis and manicures. perfect for a girls night, beauty bar and flirty girl fitness offer cocktails while you get pampered. beauty bar turns into a real bar/club later in the evening (they do manis til 11 p.m.! ), while flirty girl offers pole dancing classes. i really don't see a downside with either option! dancing plus. it's also pretty clubby little place but lumen right down the street from me, about a block from the mid. there's dancing and lots of fancy bottle service but the plus part? mostly i recommend this place for girl's night because every friday and saturday, from 8 to 10 (before the 'club' opens), they host hunk-o-mania. you're welcome. and personally, i also recommend wherever stache is going to be playing. that's where i'd be! what do you like to do on a girl's night out? Oh that all sounds so awesome...it's been months since I've had a girls night out...but living in a country town means we also don't have a lot of options open to us, so it's usually drinks at someones house or on the rare occasion when a performer that's not over 100 billion years old comes to town, we go see that. Now here I am missing city life! Whenever I have been to Chicago it's been with Mark....he would totally cramp my style in the pole dancing class ;-) hahahaha my perfect girls night is dinner with some serious drinks and then dancing it up while trying to swat creepy guys away on the dance floor! I was just recapping another NYC post and there's a beauty bar there too. Blows my mind. Theirs is still kinda dive bar-ish at night. Win WIn. Karaoke. You're speaking to my heart. One of my best friends from law school moved to Chicago for work & so when I go visit her, I will surely reference this entire post! I want to visit Chicago so bad and these Chicago post only add to it! I love a girls night out dancing away with my friends, always a blast and dive bars tend to be where I have my best memories! You obviously need to come! I'll take you to all the fun places!! Including some awesome dive bars. no dancing for me but i'm a martini/manicure (or pedicure) kinda gal. then dinner because food is always a must. I love the sound of all these places! It's been SOOO long since I've had a proper Girl'S Night Out! I'll have to save this. We are taking my friend's little sister to Chicago in June for her 21st birthday! I love little dive bars. We usually head out to eat at new restaurants we haven't tried. Girls nights are a must! Sign me up for Martini's and Manicures! I love dueling pianos!!! The Howl at the Moon in Boston is one of my favorite spots!! I will join you for girls night out but prefer a dive bar. I could be lured to Pops for Champagne though. I need a girls night out full of dancing! I haven't had a good night of dancing in a while and I always have the best time. I have horrible dance moves, but that's okay! Piano bars are my favorite kinds of bars! I always have a good time at ours here. One of these days, I want to go there on my birthday (NYE). Yes!! Let's go!! Hunk o Mania first, then we'll go down to Howl at the Moon. They aren't far from each other! My friends and I were just talking about doing another girls trip to Chicago. We went last year for my birthday and it was a blast!! I will admit, Chicago hasn't been on my immediate to-do list, but this might have just changed my mind! That's awesome! It definitely needs to be higher on your list, it's a lot of fun here! i need to come visit chicago! i have never been and it sounds like so much fun. ill wait until winter is over though, obvi. Looove Pops for Champagne and Howl at the Moon will always hold a special place in my heart because I went there for my bachelorette party! I've never been to the Mid because I'm definitely not a club person.. I may have to check it out now, though. Definitely doesn't hurt that I can stumble home being that it's in the West Loop! Its been quite a while since I've been to Chicago, but I do remember I went to Pops once and it was so fab! Great list...I need to get up to Chicago sometime soon!